Enjoy beautiful sunrises and peaceful lake living in this unique cottage. With a gentle walk to the boat dock, the award winning SML state park is just across the wide open cove. 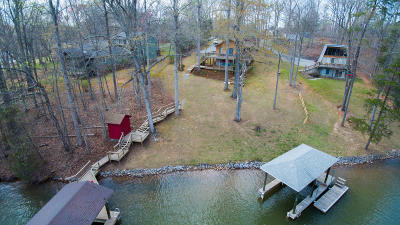 Dock includes boat lift and party deck and storage shed.Extra storage shed on property. Nearby shopping and dining includes, Eastlake restaurants, Food Lion and Downtown Moneta. With two levels finished, home can accommodate two families on short term rental. Home has 2 bedroom septic but decorated as a 3 bedroom.Home is also equipped with a whole home dehumidifier system. Working well for landscape irrigation etc.